With automated Lexcel Reports, screens per fee earner showing their live caseload with “last worked on” and “case review dates” per case DPS software provides a complete management tool for fee earners, support staff and management of law firms. We have set modules for Matter Management, Digital Dictation, MLS Client Portal (for case tracking) and mobility software solutions including apps DPS iTime and DPS SafeChat– our new secure one-to-one communications app. Used by more than 700 legal businesses across the country, DPS practice management system can be tailored around your law firm’s particular needs. You can pick and choose the products you need. We have various case studies of law clients that have benefited. Marsons Solicitors use our Law Practice Management Software. Compliance with Solicitors’ Accounts Rules, Paperless working, automated and manual Time recording, Automatic, online anti-money laundering checks and Business Intelligence reports. Our law practice management software is accessible via a web browser or on premise server and fully connects accounts to the fee earners using case management, for all areas of law. KPI reports (individual and team members) accessed from DPS iTime, our app, allowing on-the-go performance monitoring. This high level of tracking allows Partners and Practice Managers to easily manage individual productivity time with full risk management at every step. Josiah Hinks uses our Legal Case Management Software. The DPS online legal practice management system allows fee earners to work on the go, whenever they need to. You can produce attendance notes, time record, access files, preview PDF documents, view emails (including those attached to a DPS file) and see stats by fee earner or department remotely, from any mobile device. Learn more – download our white papers or request a no-obligation demonstration of our legal case management software. 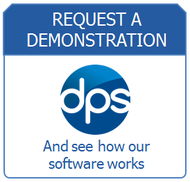 DPS have been providing software for law firms and in house legal teams for 30 years.